There is nothing more maddening then trying to feed a critical supplement to you horse and having him not eat it. There are varying levels of “just say no” in horse behavior. The dumper, who simple turns the entire bucket over and then spreads it around the stall, picking out the best bits but wasting most of it. The sorter, who very carefully shifts through each morsel of feed, consuming everything but the supplement. To you, that scoop of supplement looks small compared to several pounds of grain you feed your horse for breakfast, but horses are natural sorters. Something new is often held with suspicion and they are stars at identifying and avoiding unfamiliar tastes and smells. 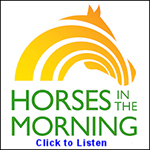 What is a horse parent to do? We have some tips for you. If you have a horse that falls into one of the above categories, introducing a new supplement slowly will help short circuit any possible protests. How slowly depends on the horse and just how suspicious he or she is! 1) Start with a small amount and do a trial run. Before you feed your horse his regular meal, mix a small amount of the new supplement into a smaller portion of his regular feed. Mix it in well and offer it to your horse when he is hungry and expecting to eat. Chances are it will disappear. Then feed the rest of this normal feed. Repeat the same strategy the next day, with the same amounts. The following day, add a little more supplement and a little more feed, and so on, until you reach the full dose of supplement. At that point you can add it to whatever plain feed you have left and go back to your normal feeding routine. If you have a super picky eater, start with a really tiny amount and slowly increase the level fed over 5 to 7 days. With most horses, once they get used to a flavor they willingly consume it. 2) During the introductory phase, add the supplement to the feed and set it aside for 15 to 20 minutes. Some supplements, especially liquids, can have a strong odor. Even if the odor is pleasant, it is still different and some horses will be wary. Mix the supplement into the feed well and let it sit for 15 or 20 minutes so that some of the odor can dissipate. This will make the supplement more appealing during the introductory stages. With super picky eaters, mix the feed several times during the waiting period so that even more of the odor has a chance to dissipate. 3) Mix the new supplement in with something your horse can’t resist. Unsweetened applesauce can be the perfect carrier for mixing new supplements to make them taste more familiar. Most horses love it. If your horse isn’t an applesauce fan, other options include pancake syrup, molasses or yogurt. Feed the “carrier” to your horse plain a few times first to make sure he or she will readily eat it. You can also feed whatever carrier you choose as a treat periodically so your horse doesn’t get suspicious when it suddenly appears in their feed bucket. Use the same strategy as above and mix a small amount of the supplement with the carrier in a portion of the grain meal and offer it to your horse when he is hungry and ready to eat. Slowly increase the amount of supplement and decrease the amount of carrier over time. Add it directly to the main meal when he is readily consuming it. 4) Keep your feed buckets clean. Uneaten feed and supplements can quickly mold or go bad sitting on the bottom of the feed tub or bucket. Some oils will get sticky and smelly when the residue is left behind by the horse that doesn’t lick the tub clean. At least once a week, and more often if your horse doesn’t always clean up, wash your feed tubs with dish soap, rinse well and dry thoroughly. If you set feed up ahead of time, wash those containers periodically as well. Nothing will turn a horse off faster than feed or supplement that has gone bad in the feed tub. It can also make them sick. 1) As a general feeding strategy it is always best to completely mix the supplement into the concentrate meal, and add a little water or oil if the supplement is a meal or powder that settles to the bottom. Supplement makers work hard to choose flavors that horses like, but too much of even a good thing can be a turnoff. We see a lot of folks that fill their feed buckets in the feed room, toss the supplement(s) on top, then carry the container to the stall and dump it in the feed tub. The supplements are now sitting on the bottom of the feed tub under the main meal. The horse scarfs down the concentrate until they get to a big mouthful of supplement, and for some horses that is a total turnoff. Think of it like this: if you like salt or certain herbs when they are evenly distributed throughout your food, you wouldn’t want a big mouthful of them at the end of your meal. Adding supplements to your horse’s feed in this manner also makes sorting easier for picky eaters. Take the time to thoroughly mix your supplement into the concentrate you are feeding. Got an extra picky horse or a super sorter? Use the “shake and bake” approach. Put your concentrate and supplements into a bag and shake until well mixed, then dump them into the feed bucket. 2) Read feeding directions carefully and feed according to the manufacturer’s recommendations. More is not always better, and feeding too much might cause your horse to stop eating a supplement altogether. Feed too little and your horse might not benefit from the supplement at all. 3) Use the scoop that is included in the supplement. Most scoops are calibrated to deliver a specific amount of supplement based on weight, not volume. If you lose the scoop or don’t get one, contact the manufacturer and they will help you find an alternative scoop or send you a new one. 4) Take a moment to look at your supplement, particularly if the weather has been hot and humid. All supplements have a shelf life, the amount of time they remain usable. Heat, humidity, freezing temps, contamination with other substances, or water damage can cause a supplement to degrade faster than its typical shelf life. Anything can mold or sour in hot, humid weather. Some products attract water, like electrolytes and antacids. Before you add the supplement to the feed check it carefully for mold, color changes or any unusual clumping. If your horse all of sudden stops eating his supplements make sure they haven’t gone bad. If in doubt, contact the manufacturer with questions. 5) Store your supplement according to manufacturer’s recommendations. If the product comes packaged in a plastic bag, be sure to seal the bag up after each use. If a desiccant is included, leave it in the container. Always close the lid on the container tight. It is best to store supplements in the coolest, driest place you can. Never leave them in your car for long periods of time. Liquids may need to be protected from freezing in the winter months. Some supplements must be fed as soon as they are removed from the container because they degrade when exposed to sunlight and air. Read the directions carefully and follow all recommendations. Supplements are meant to maintain wellness and in some cases support healing, but they won’t help if your horse won’t consume them. Taking your time when introducing a new supplement may make the difference between your horse eating it or not. 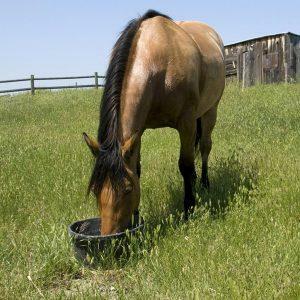 Following the tips and good management practices outlined above will help ensure that your horse eats his supplement and that the supplements you feed remain fresh and provide the benefits you expect. 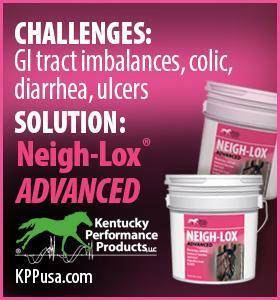 About Kentucky Performance Products: Fight back against an energy crisis that can impact condition and performance. Equi-Jewel® is a high-fat, low starch and sugar formula developed to safely meet the energy needs of your horse. Whether you have a hard keeper that needs extra calories to maintain his weight, or a top performance horse that needs cool energy to perform at her peak, Equi-Jewel can meet your horse’s needs. Equi-Jewel reduces the risk of digestive upset, supports optimal muscle function, maintains stamina, and helps horses recover faster after hard work, all while providing the calories your horse needs to thrive. The fat found in rice bran is an extraordinary source of dietary energy. In fact, fat contains more than two times the energy that carbohydrates and proteins do, thereby fueling horses more efficiently. Fat is considered a “cool” feedstuff because it does not cause the hormone spikes that lead to excitability. Adding Equi-Jewel rice bran to your horse’s diet allows you to decrease the amount of starchy concentrates (grains) you feed, reducing the risk of colic and laminitis resulting from grain overload. Equi-Jewel is an excellent source of calories for horses on low sugar and starch diets. The horse that matters to you matters to us®.